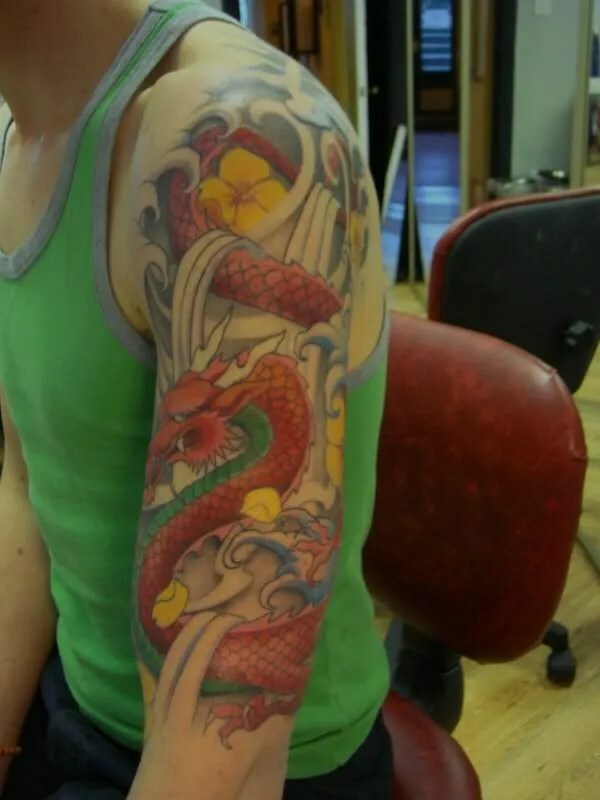 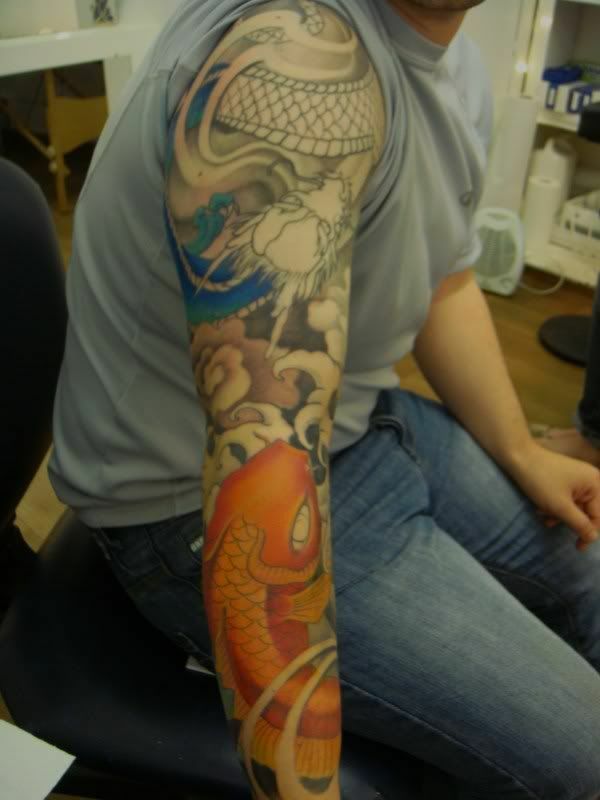 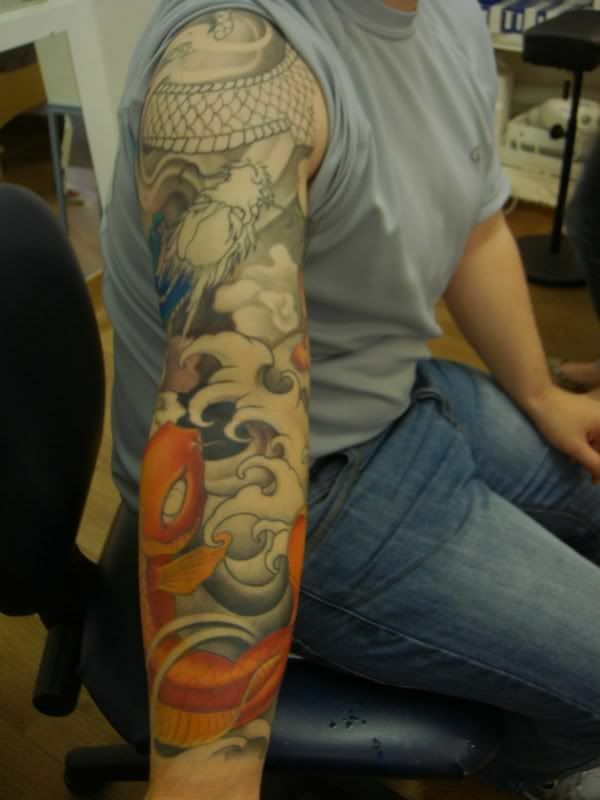 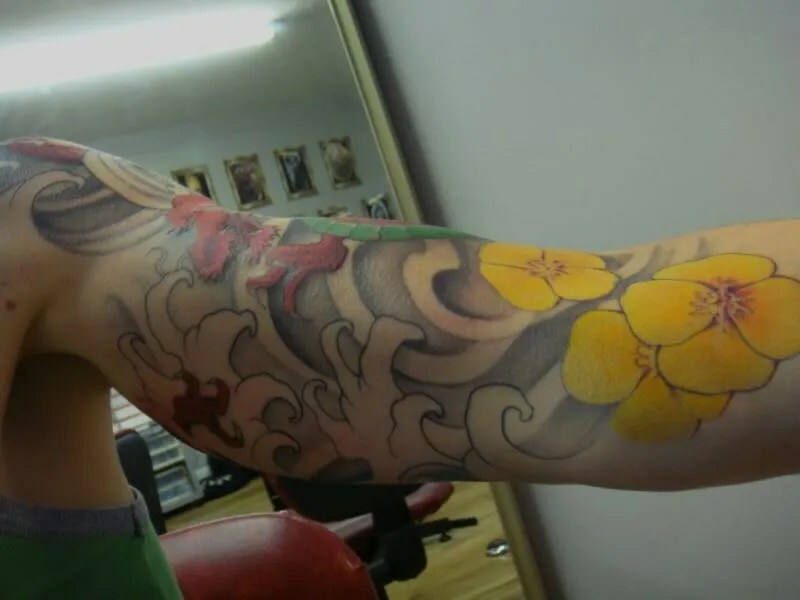 and got some more of John’s dragon half sleeve coloured. 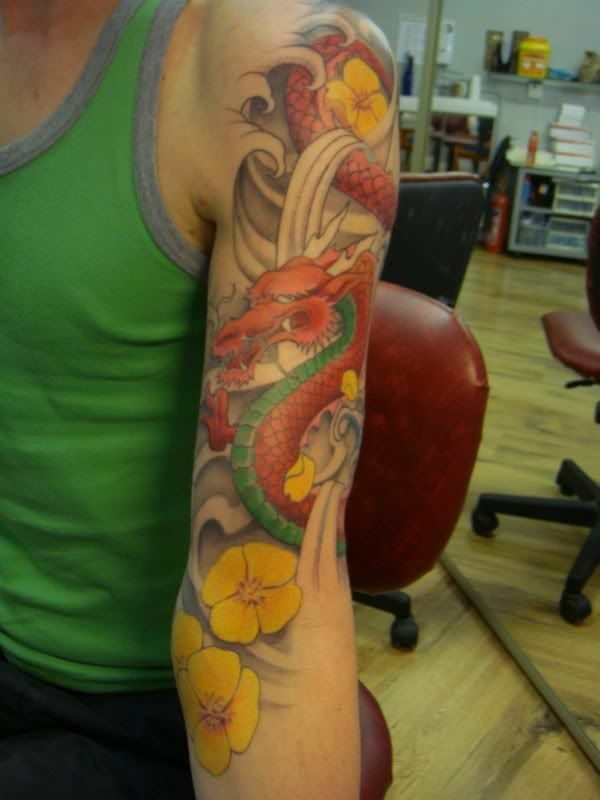 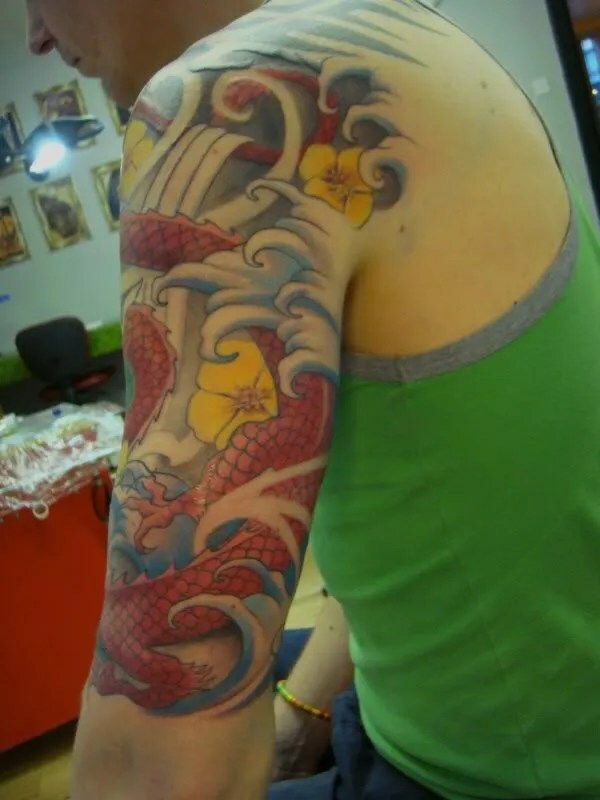 This is to be a very colourful piece, with quite a traditional chinese dragon, something a bit different! 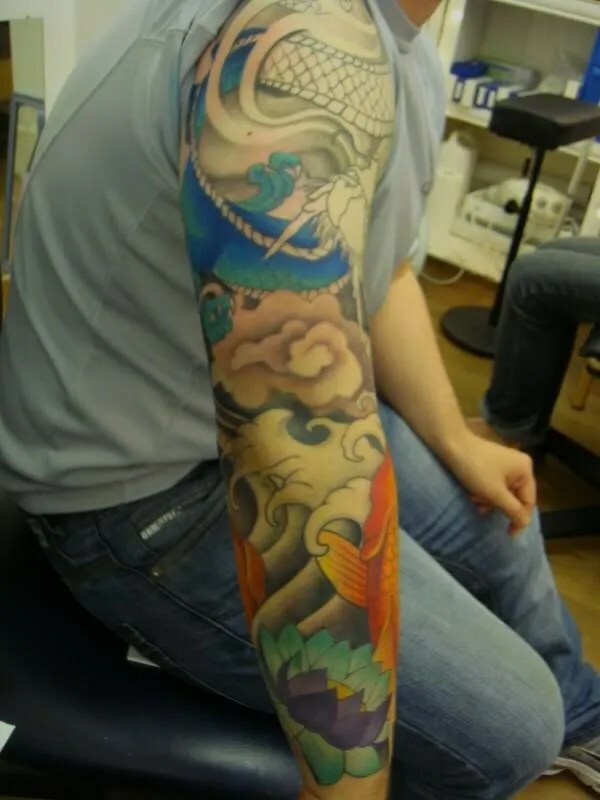 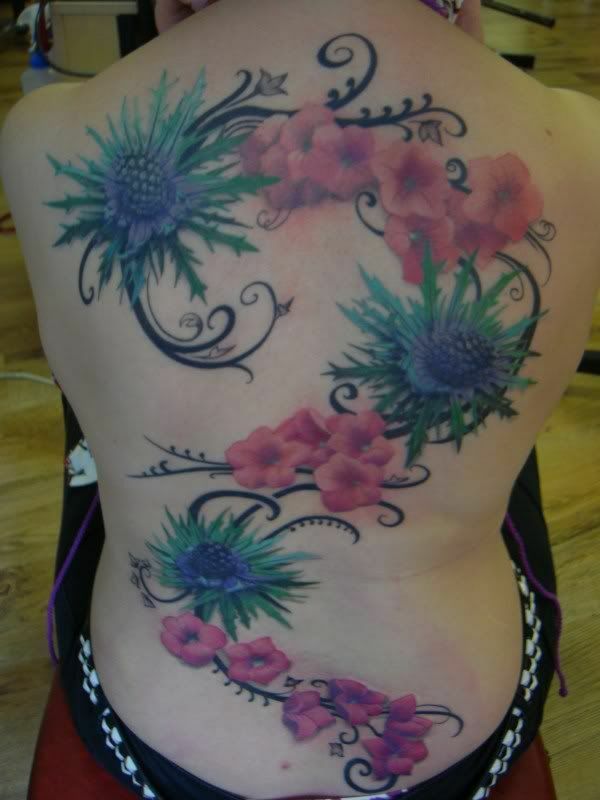 Your work is the most consistent quality tattooing I’ve seen. 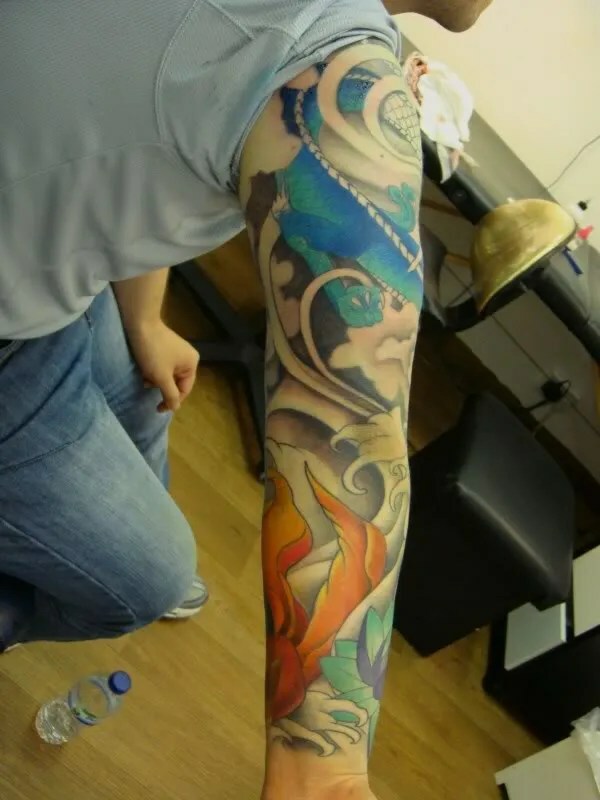 Really cool stuff.